Courageous ones, great ones. Those who have not forgotten to dream, imagine and wish. Going to this place and passing through forests and green fields, meadows - until you reach a small, daring city where you can lie down in the centre of it in the green, fragrant grass and do what the dreamers do - to look in the blue sky, and white clouds. Yes, and eat ice cream, same as in childhood. Cloud drivers, they call them here. Both because they have full of pockets with dreams, and because they make the best, warmest, lasting ice cream with mightiness - powerful dream for one small town in the middle of the forest, right? 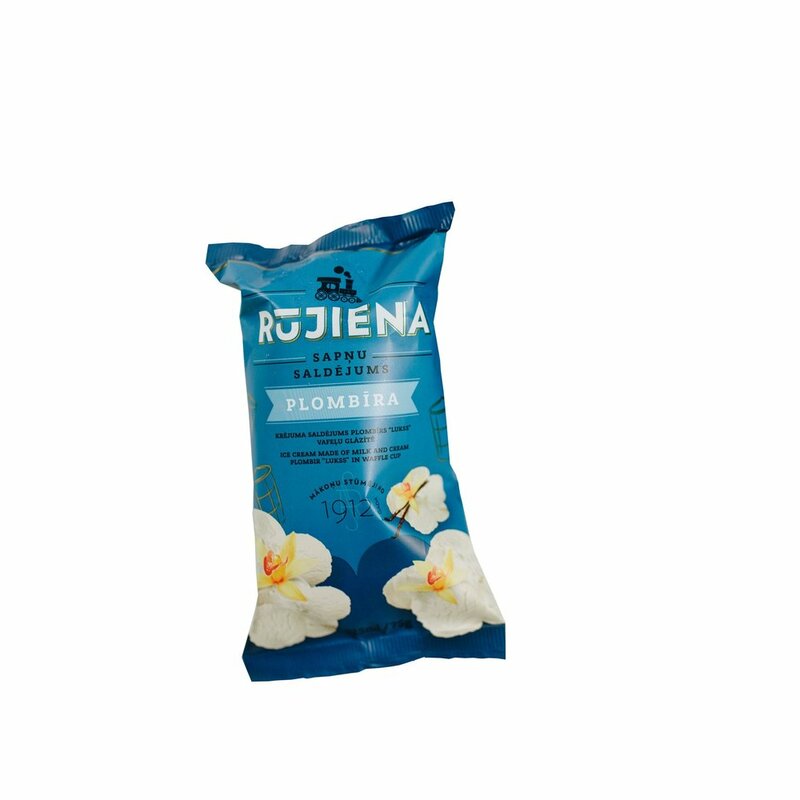 Here, in Rūjiena, something is in the air. Here you move the clouds, so you have the sun. Here you are courageous,wrapped up in blue ice cream paper. You need to keep in mind - what you really want, how you are feeling, what makes you happy. Those who believe flourish for happiness and fulfilling. Rūjiena is the most cloudy place in Latvia. Perhaps this is why the ice cream produced here is tasting so well. 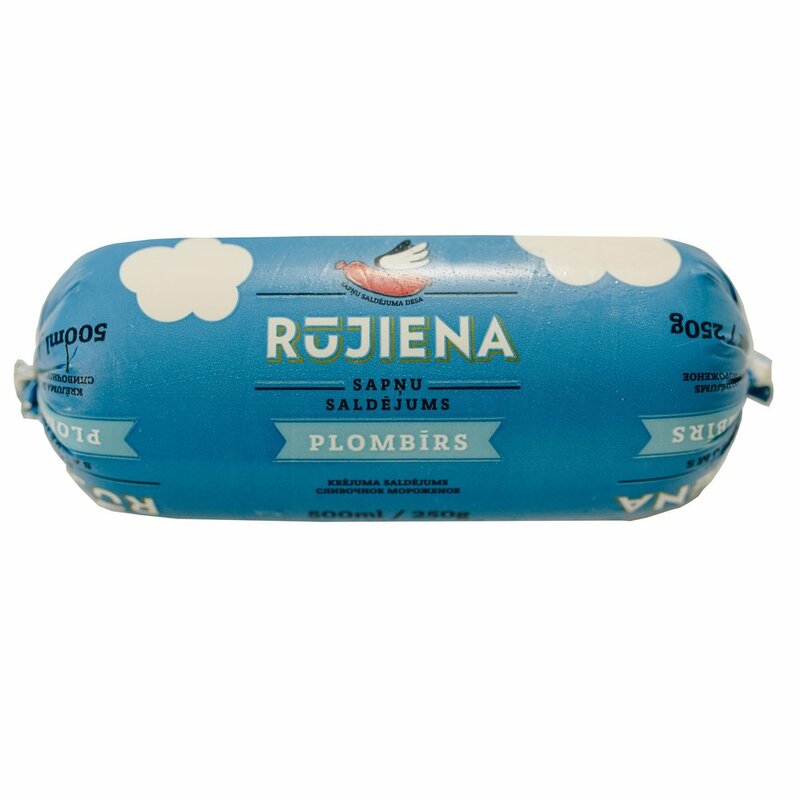 Probably it's Rūjienas air, the clouds that make it so special, crisp. And everyone is inspired by the great things who have tasted local ice cream. 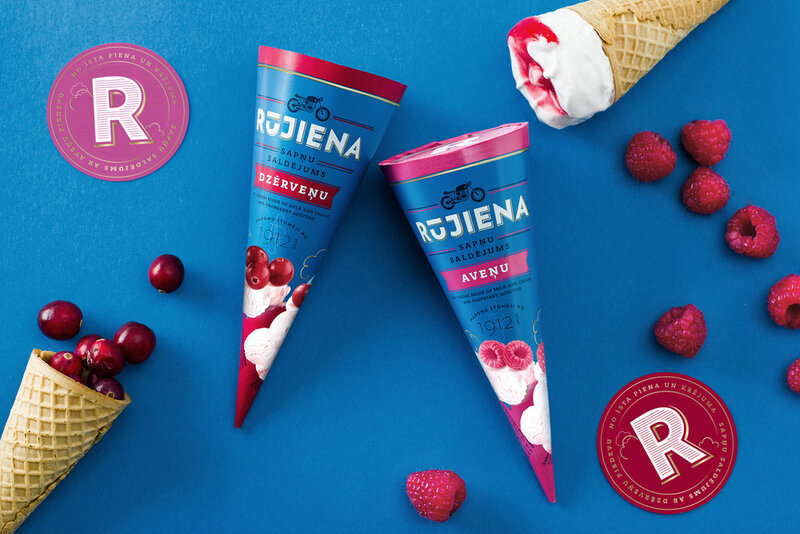 Rūjienas Ice cream is a local wonder - here is the only ice cream factory owned by this company, located in the small, green city forest and surrounded by meadow. In the North-Latvia's forests, which has been famous for its special air - despite the fact that this is the most cloudy place in Latvia, there have always gathered creative people and have begun to make genuine and lasting things. 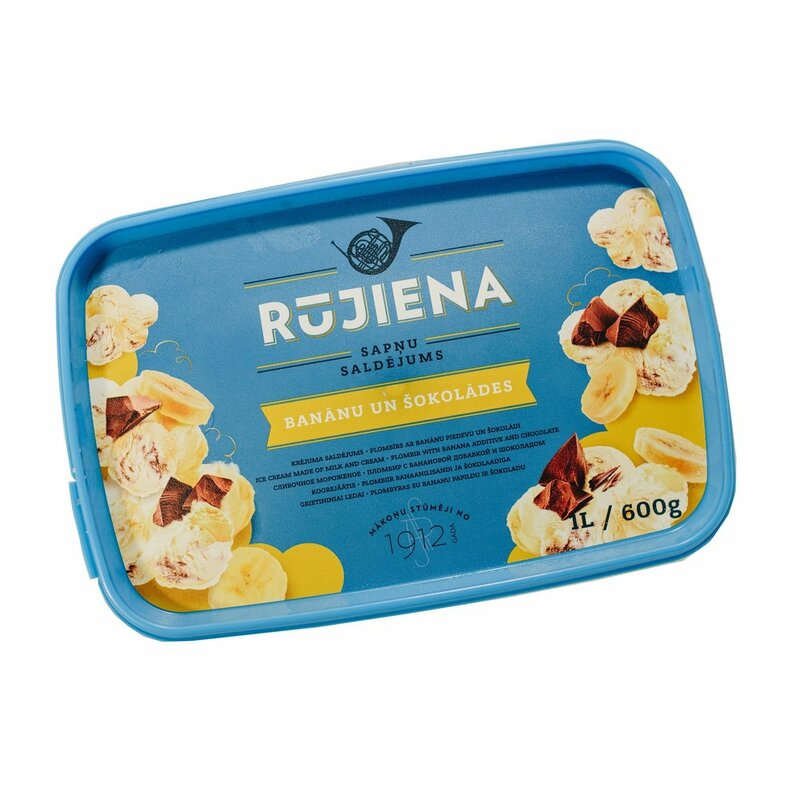 Rūjienas Ice Cream Factory was created many decades ago by implementing the courageous dream of local dairy farmers. Before that, it was the largest dairy in the Baltics. Also, the ice cream factory is still in the legendary premises, keeping local tradition. 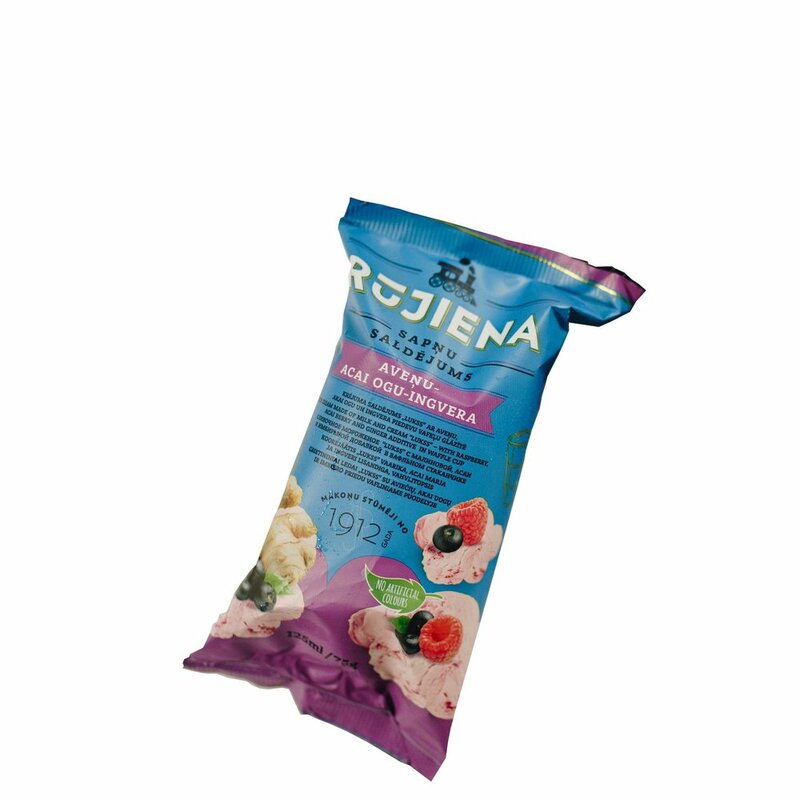 Rūjienas Ice cream has produced genuine ice cream from milk and cream for years, using natural and raw materials. 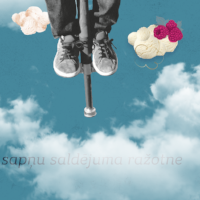 Rūjienas Ice Cream is a story about dreams and ways to make them come true. Following the best conscience. 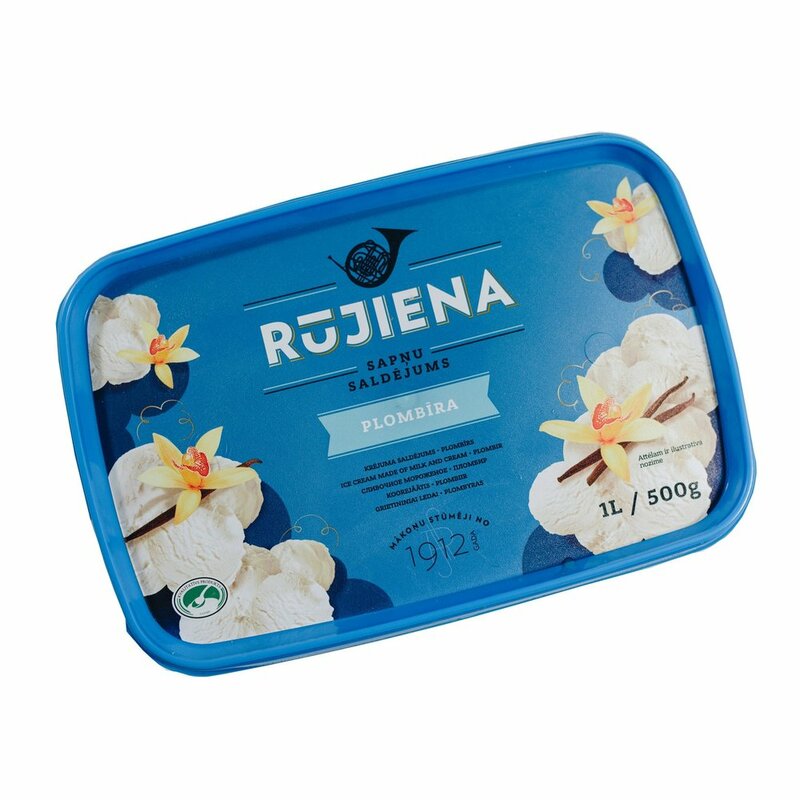 Rūjienas Ice cream mission is to make delicious and courageous products, that would awaken desire for people to make their dreams come true. We are example for brave and authentic actions. We awaken ancient, natural and real feelings that help imagining ways to make dreams come true. Every one on you can be dreamer and cloud “whisperer“ just like us! 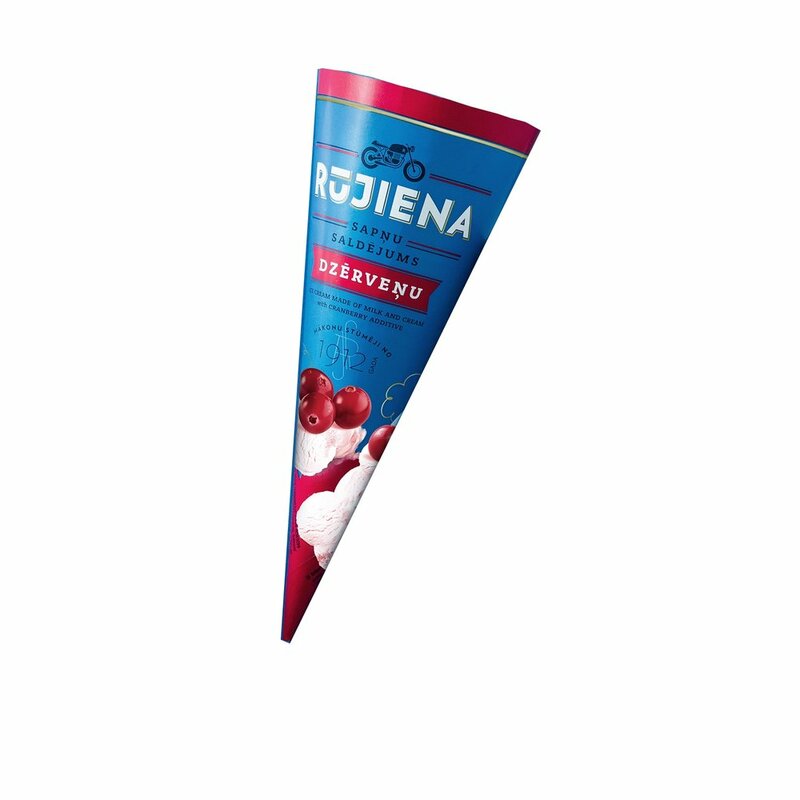 We are the brightest and most exciting ice cream factory in Latvia which has created an inspirational, prominent environment around itself. We have developed our good reputation and story, embodying it in action. We are valuable. profitable business which story is shared not only locally but also outside. We are field of energy, vibration that moves and awakens all North Latvia. Determination - courage of thinking, dreaming and doing. Strength, passion, challenge. Being inspirational example, making changes in the environment and people. Traditions - the desire to be part of the family, city, national traditions that bring people closer. Excitement - courageous ideas, self-proclaimed path. Rūjiena - as a symbol of opportunities and realisation of dreams. Symbol of person abilities, local origin, traditions.